Jorge Wagensberg, born in 1948, was a physicist and doctor from the University of Barcelona, ​​where he taught as a professor from 1981 to 2016. He was also a disciple of Dr. Ilya Prigogine, Nobel Prize in Chemistry in 1977, a reference for Wagensberg in his study on dissipative structures. His great concern for the scientific dissemination led him to occupy the position of director, in 1991, of the former "la Caixa" Science Museum, which he completely renewed until turning it into the current CosmoCaixa. It is precisely in this same place where the Catalan Association for Science Communication (ACCC), in collaboration with CosmoCaixa, "la Caixa" Obra Social, Naturgy Foundation, SokoTech, Elisava School and Tusquets Editores SA, is organizing a day in homage to this great person, who was also member of the ACCC since 1995. The symposium will be held on Saturday, December 1 and will consist of a series of conversations about the subjects that most defined him and with the people who knew him better. There will also be a dance show, run by students from the IEA Oriol Martorell and a musical reading of some Wagensberg aphorisms, by Sílvia Bel, Marc Puig and Mireia Chalamanch. An Interpretation by JS Bach, the composer Jorge loved the most, by the young 15-year-old violonist Maria Dueñas will close the tribute. 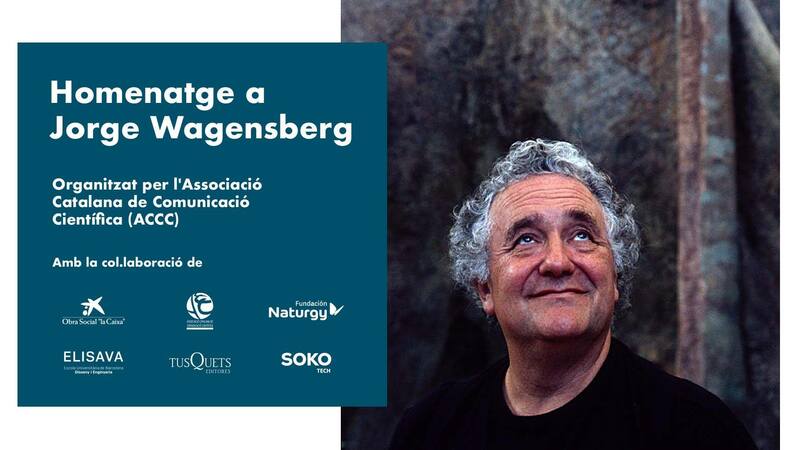 The tribute also plans a subsequent optional visit to the most emblematic spaces created by Wagensberg in CosmoCaixa. The entrance is free, but registration is necessary filling this form. See the whole programme of the tribute here.